I have booked the Christmas meal for Tuesday the 18th at 19:30 at the Mango Tree. I have booked a table for 25 of us, I have a list of 22 at the moment, I will read out the names I have on Tuesday night, if you want to come along you are perfectly welcome, if needs be I will increase the number of people on the booking. The cost of the meal will be £10.95 plus £2.00 for a soft drink, please bring your money down with you ASAP. Below is a map of where the restaurant is. As I said last night it would be nice to come in “corporate casual” and if you want to bring a secret santa gift then please do, spend no more than £5. Also, I will be announcing the winner of the photography competition at the restaurant. 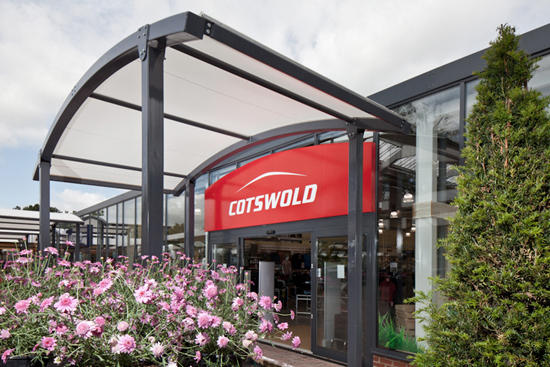 As I mentioned last night we will be bag packing at Cotswold Outdoor from 10 am until 3 pm on December 1. We will be meeting at the main entrance of Bridgemere before 10. Make sure you are in full uniform and please either bring a packed lunch with you, or money to buy something from the restaurant. Below is a map of where the place is. Don’t forget Katie is working in the store that day so we can wind her right up and she can’t do anything about it!! I would like to see as many of you there, this is for your own benefit because everything you earn will go towards scouting activities of your choice. Next year we have a camp organised, scuba diving again and other ideas of fun stuff to do and this money could pay for it. If you cannot arrive at 10 that is fine, if you cannot stay the full time, that is fine too but PLEASE try and show up. There is going to be another scout group there too so we have competition. Also, if you want to buy anything in the store you all get 15% off anything or if you ask me, Cliff or Meagan nicely we can get you 20% off. As I mentioned last week we are not at the HQ next week but are at Fenton Manor to play badminton. I have booked the courts for 20:30 so please meet at the front of Fenton Manor NO LATER THAN 20:15. The price is the usual amount you pay for subs. It will run for 1 hour and please make sure you wear appropriate clothes and footwear. If you have a badminton racquet please feel free to bring it with you, likewise any extra shuttlecocks would be appreciated. If you need to hire a racquet the cost is £3.50, £2 of which is a returnable deposit. It might be wise to bring a drink with you also. The poll for the the destination of the Christmas meal has been closed and the restaurant we will be going to is the Mango Tree. I will book a table for December 11. Please email me if you do not wish to come.